Given that heating can account for over 35% of our winter power bill, choosing the best option to heat your home is important. 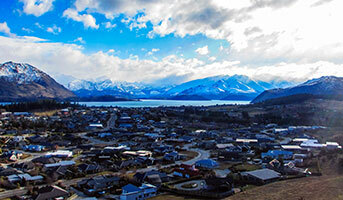 Over 25% of all New Zealand households now use a heat pump, making them New Zealand's third most popular heating solution. Heat pumps are a very cost effective alternative to traditional electric heating options because they move - rather than generate - heat. (1) They are the most energy efficient and cost effective electric way to keep your home warm and dry during the cooler months. In order to get the most out of your heat pump, it's important to know that one size does not fit all. Choosing the right model for your space, using it correctly and regular maintenance could see you saving on those winter power bills for years to come. Below we cover some things to look for if you're purchasing a new heat pump. And, if you already have one, we give you eight tips for the best way to use a heat pump efficiently during winter. 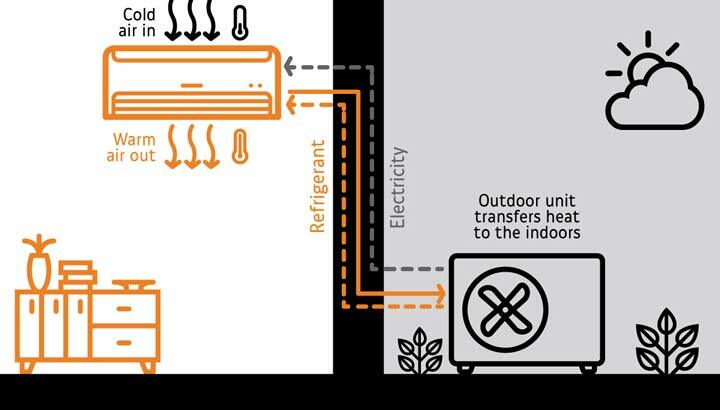 Heat pump's heat a home by extracting warmth from outside, transferring it into your home. 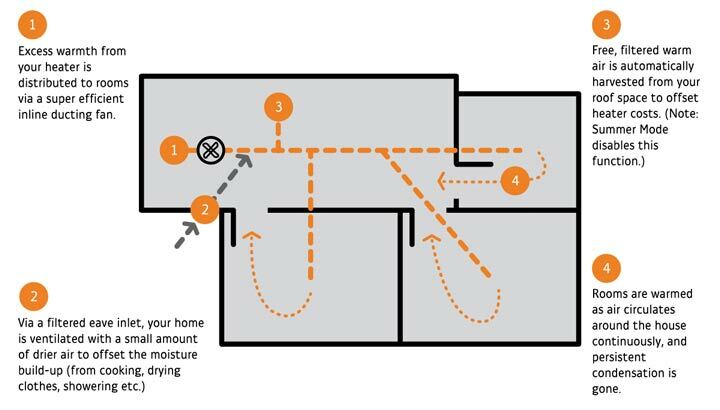 When it's warm outside, it reverses directions and acts like an air conditioner, removing heat from your home. 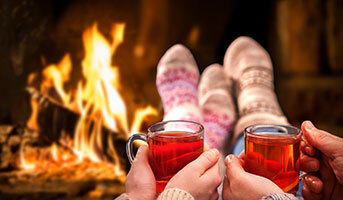 Heat pumps are an efficient way to heat your room during winter. They usually take around 10-20 minutes to bring a room up to temperature, and maintain it easily. The most popular and simple-to-install system in New Zealand is the single split system, designed to heat only one room, usually your living area. If you choose the right size, and placement, it'll warm your whole house. They're particularly good for open plan living areas. These have a vent in every room and are ducted through the ceiling. They're less intrusive, but they're expensive to install. The cost of a ducted heat pump is $15,000 or more for an average sized 150m² home. Heat pumps are efficient in cold weather. Using a heat pump can save you money compared to other forms of heating. A heat pump's running costs depend on how long you use it and its energy output. According to energywise.govt.nz, a heat pump used 6 hours per day for 6 months of the year with an energy output of 6KwH will cost around $400 per year to run. So, if you use a heat pump instead of an equivalent electric heater in your living space can save you around $500 a year. But oil or fan heaters do have their places in your home, particularly for heating small spaces, such as a study, or a bedroom for short periods of time. Prepare your heat pump for winter. There's a handy video on how to clean your heat pump filter here. Clean both your indoor and outdoor heat pump filter regularly – at least once a year. It's simple and quick to do this yourself unless the placement of the outside unit is difficult to get to. Only heat the space you're using. Don't have heat pumps going in bedrooms or in rooms you're not using. Turn off your heat pump when it's not in use. It can run for as long as you need, but make sure you switch it off when you're not using it. Close doors and curtains to keep the heat in. If you can, get your house insulated. The better insulated your home, the better it will hold the heat and the more energy efficient the heat pump will be. Use the timer function to heat the space 15 minutes before you use it, or invest in a Smart WiFi controlled heat pump so you can control it remotely using an App on your Smart phone. Heat pumps may be an efficient way to use electricity to heat your home, but you do need to select the correct heat pump for your home. The Energy Star rating helps to demonstrate your heat pump's efficiency. The lowest energy efficient heat pumps available in New Zealand are 250% efficient (they give $2.50 heat for every $1 of electricity used). The most efficient models on the market are over 500% efficient. ENERGY STAR® qualified heat pumps use up to 30% less energy compared to a non-qualified model. (3) They may cost more upfront to purchase, but it could save you up to $150 each year on running costs. See this list comparing energy star efficient heat pumps here. Having the correct sized unit for your space and level of insulation is important. Too small and the heat pump will use more energy trying to keep the space warm. Too large and it'll be less efficient as you'll have to keep switching the unit off to stop it from overheating. As a rough guide, in an insulated house you'll need a heat pump with 120 Watts per m2. In a less insulated house choose around 150 Watts per m2. Heat pump installation cost can cost between $750 to $1350 for a single system. This can be up to half the cost of the unit again, but good installation is critical to energy efficiency. Make sure your installer complies with the (4) EECA good practice guide to heat pump installation. Don't be afraid to shop around. The outside unit needs good airflow, as much winter sun and as little frost as possible. They need to be protected from elements that might cause corrosion, such as sea spray. South facing walls are not ideal for the outside unit. Also avoid positioning it under decking or other areas where the air doesn't circulate freely. The units can be noisy so take this into consideration when choosing where you put them. Heat pump units come in three types: high-wall, floor-mounted console or ceiling cassettes. Floor-mounts are the best for quick heating, but you need to have the floor space and they can't be blocked by furniture. High-walls are also a good option and newer models are getting less and less obvious on your wall. A ceiling cassette, where the indoor unit is mounted into the ceiling, is an option if you lack or floor space. As a Genesis customer, you can take control of your power with the new Energy IQ app. Energy IQ was made in collabortion with customers like you. With it you have powerfool tools to forecast and compare your energy use. Why is my bill so high in winter? Energy bills increase during winter as households use more power for heating. Here are some tips for keeping those costs under control.